Here below are 19 ticket helpdesk report PDF samples for preview. 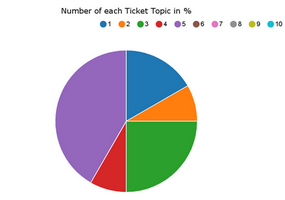 We have reports which can anytime be generated with real-time data, right from our ticket helpdesk web solution. Available file formats include PDF (document), HTML (web page) and XLS (Excel spreadsheet). They demonstrate how our ticket helpdesk solution provides up-to-date, analytical statistics to help the daily management of their support functions.